GoNoodle gets kids active with awesome movement games and videos. Run, jump, stretch, shake, wiggle, and dance -- it's free and super-fun! Teachers use GoNoodle in the classroom to stay active, get the wiggles out, reduce stress, stay motivated, and much more! The same benefits apply at home -- help kids burn all that excess energy, get focused for homework or reading time, or just have active fun as a family. It's Free! Any kid, anywhere, can create a free GoNoodle account and start using interactive movement activities at home right away. It gives you over 150 research-based movement activities. We’ve designed all of GoNoodle’s 150+ activities to be healthy for the body, engaging for the attention, and beneficial to the brain in specific ways. It's easy to play. GoNoodle takes no time to set up -- all you need is a computer and an internet connection. And GoNoodle is made easy for kids to navigate, so parents can get a break. It's safe. 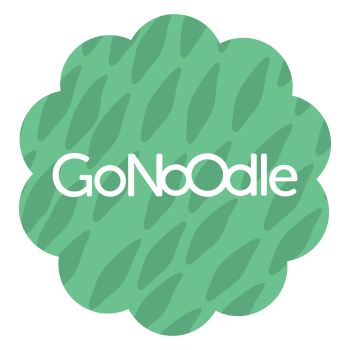 There are no ads, third-party links, or inappropriate content on GoNoodle. It's fun! It's our mission to make kids love being active.